Roughly three-quarters of all runs for today's Arlington County Fire Department are for ``medical locals,'' and the fire department operates seven full-time paramedic units and a paramedic engine company to meet the demand. A part-time unit medic unit is also on the roster when staffing permits, and volunteers operate an ambulance on a part-time basis as well. The fire department's patients are typically transported to Virginia Hospital Center and Northern Virginia Community Hospital, both in Arlington County. Trauma patients are sent to Fairfax Hospital in Fairfax County, Washington Hospital Center's "Medstar Unit'' or the George Washington Medical Center, both of which are located in Washington. Burn patients are transported to the Washington Hospital Center regional burn unit. The Washington Hospital Center, the U.S. Park Police and the Fairfax County Police Department operate "Medevac" helicopters. The origins of the emergency medical service date back to the 1930s, when Arlington County's early volunteer firefighters started providing emergency first aid. 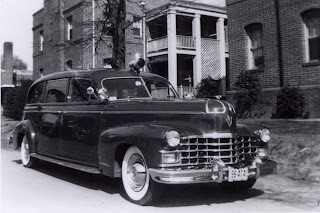 The Jefferson District (today Crystal City) Volunteer Fire Department organized a rescue squad in the early 1930s, and the Clarendon VFD obtained a 1935 Buick ambulance that ``ran the whole county from 1935 until 1947,’’ according to retired firefighter Frank Higgins. Jefferson's heavy rescue – Squad 5 – contended with an increasing number of wrecks on Route 1, then one of the most heavily traveled routes in the Washington region. 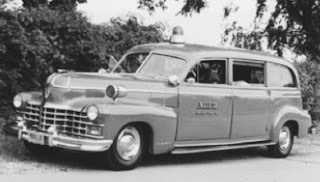 In 1932 in neighboring Fairfax County, the McLean Volunteer Fire Department purchased its first ambulance - a 1926 LaSalle. Other volunteer fire companies purchased ambulances, and for the next 40 years provided of ambulance service in Arlington County. Their members were certified in basic and advanced first aid skilled by the American Red Cross. 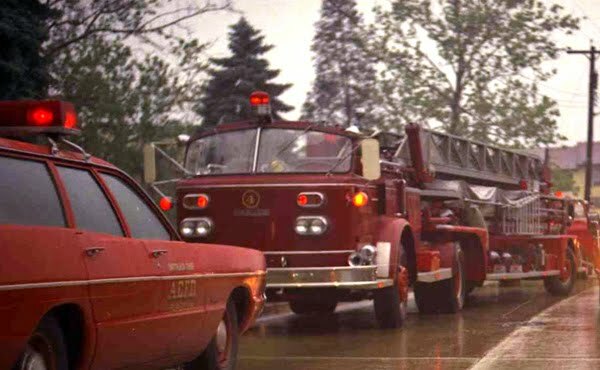 Paid firefighters were also assigned to ambulance service in the early days, but often because they were in ``the dog house,'' according to fire department old timers. National Airport also operated an ambulance. Ambulances usually ran with a crew of two - career and/or volunteer members - and yet it was not unusual for an ambulance to respond to a call with just one person in the day's before ``minimum staffing'' standards. To provide adequate manpower, police officers responded on all ambulance calls and helped carry stretchers, according to retired Battalion Chief Ralph Darne. For Arlington County and other U.S. communities, a major breakthrough in emergency medical care came in 1965 when CPR - cardio pulmonary resuscitation - became widely used in hospitals and on ambulance across the U.S., according to the Public Service Training Center at Monroe Community College in Rochester New York. California Governor Ronald Reagan signed the state's Wedworth Townsend Paramedic Act in July 1970. Reagan's motivation was personal. His father died of a heart attack because an ambulance refused to cross jurisdictional lines, Reagan was quoted as saying. Other states followed California and enacted similar legislation. The first of Virginia's ``cardiac technicians'' graduated in Virginia Beach in 1973, according to the state's Office of Emergency Medical Services. Arlington County followed soon thereafter during the administration of Fire Chief Robert Groshon, who was appointed fire chief in 1973. The earliest Arlington paramedics underwent intensive hospital training and operated under the auspices of Dr. Robert Ryan and other physicians. Groshon said the physicians lobbied for better pay for the paramedics. 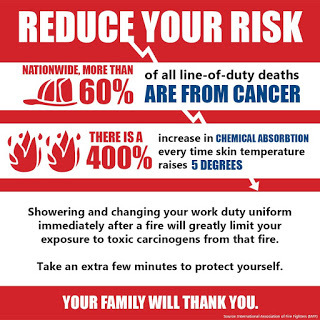 The concept of tiered-response was also introduced, in which the closest engine company or truck company responded to provide basic life support prior to the arrival of paramedics. The first medic units operated from old Station No.1, which was located about a block away from the intersection of Columbia Pike and Walter Reed Drive, and Station No. 4 in Clarendon. Advances in technology also helped pave the way for paramedics. In 1968, Motorola Corp. introduced APCOR, a radio that allowed a continuous EKG to be transmitted from the field, according to the research from Monroe Community College. 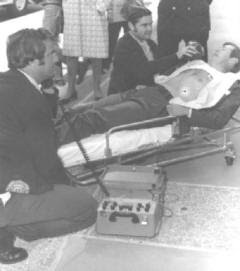 The portable defibrillator also debuted. Some of the first portable defibrillators weighed 40 or more pounds, heavier than today's compact models - but still lighter than the first of the hospital-based defibrillators. Another critical element in the evolution of the emergency medical service in the Washington area was the formation of the U.S. Park Police helicopter branch in 1973. The Fairfax County police added its rescue helicopter service in the early 1980s. Fairfax County had experimented with a police helicopter in the 1970s but that earlier program was scrapped.